All the signings, moves and news from every county in the build-up to and during the 2015 season. Counties are allowed to field two overseas players in Twenty20 games, with up to four registered for that competition, although only two can be registered at any one time, and registrations must be for a minimum of 10 days. Only one overseas player is permitted in the County Championship and One-Day Cup competitions. Players who moved counties or retired during the 2014 season are included on the 2014 list. Have we missed anyone? Please let us know. Other news: Wes Durston took over as captain in the One-Day Cup and T20 Blast. Other news: Coach Paul Grayson left the club by mutual consent on 2 September. Other news: Rudolph took over as captain in all formats. Other news: Former players Richard Dawson and Ian Harvey were named as coach and assistant coach following the departure of director of cricket John Bracewell. Geraint Jones stepped down as four-day captain in early July and was replaced by Ian Cockbain. 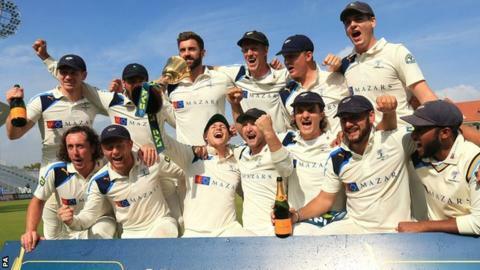 Other news: Twenty20 captain James Vince became one-day skipper as well at the start of the season - then took over as interim Championship captain on 18 July after Jimmy Adams stepped down. Other news: Director of cricket Mike Watkinson stepped down and was replaced by Ashley Giles, Tom Smith was named as captain in place of Glenn Chapple who moved into a player-coach role. Other news: Former director of cricket Phil Whitticase left the club, while ex-Australia all-rounder Andrew McDonald joined as head coach. Cosgrove was appointed captain, with Ned Eckersley as his deputy. Other news: Voges replaced fellow Australian Chris Rogers as Middlesex's Championship captain, but was then called up to the Australian Test squad. David Houghton joined from Somerset in January to become batting coach, replacing Mark Ramprakash who took up the same role with England. Other news: Alex Wakely became captain in all formats. Other news: Ex-England coach Peter Moores joined Notts on 30 June on a three-month coaching consultant contract. Other news: Matthew Maynard replaced Dave Nosworthy as director of cricket, while high performance director Andy Hurry left to take up a role with England, and batting coach David Houghton left to take up the same position at Middlesex. Alfonso Thomas became one-day captain. Other news: Gareth Batty replaced Gary Wilson as captain. Other news: All-rounder Luke Wright became Twenty20 captain. Other news: Former wicketkeeper Richard Johnson returned to the club as assistant strength and conditioning coach, with ex-captain Jim Troughton back as fielding coach. Other news: Second team coach Richard Dawson left to become head coach of Gloucestershire. Alex Lees replaced Andrew Gale as limited-overs captain on 5 August.